Each door is designed to provide maximum viewing area and yet be strong enough to withstand the heavy use that patio doors must endure. Easy operation is essential for sliding doors and Sunrise sliding patio doors deliver this for the long haul. Four seals of weather-stripping on both the jamb pocket and the meeting rail stiles (versus the typical, two-seal weather-stripping systems) prevent air leaks from entering the home and can reduce costly heating and cooling expenses for years to come. Keyed locks provide added security. 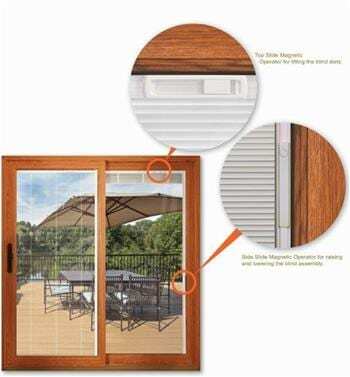 The side slide “Cordless” Lift and Tilt Operator is standard for sliding patio doors ordered with White Blinds and is available with all door color combinations. These adjustable mini blinds are actually sealed between the panes of glass, offering less maintenance with added style. 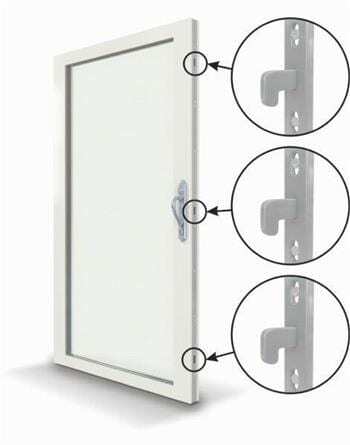 Every Sunrise door incorporates a concealed three-point locking system, which is recessed in the door panel. Three locks simultaneously engage with the door jamb when the door is closed and locked. With Sunrise patio doors, you can choose from 17 standard exterior colors including white, tan, vintage red, and forest green. 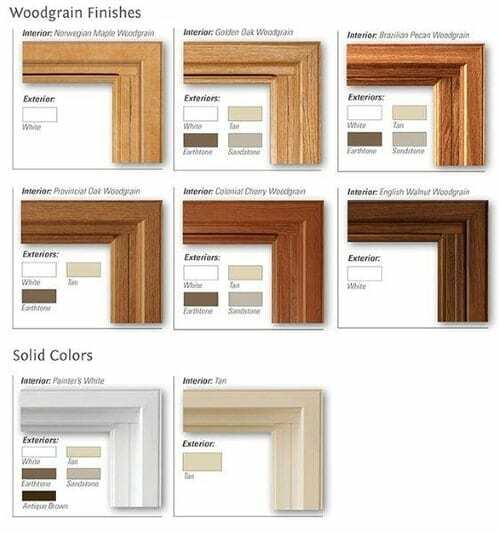 You can also select among 8 interior finish options like white, tan, Norwegian maple, golden oak, and colonial cherry. Sunrise sliding doors come with handles that are easy to operate, will add an elegant look to your doors, and provide extra security. A variety of colors and finishes allow you to customize your door and coordinate with your décor. For more than 70 years, our family-owned and -operated business has improved homes throughout the Naperville region by replacing old, outdated, difficult-to-operate doors with fresh new doors that boost comfort, energy efficiency, security, and curb appeal. To find out more about the Sunrise sliding doors we offer, contact us today. We will listen to your preferences and help you select patio doors that match your style and budget.